Chem. Commun., 2013, 49, 10477-10479. Reactions of ethylzinc derivatives of o-hydroxybiphenyl with O2 were investigated. 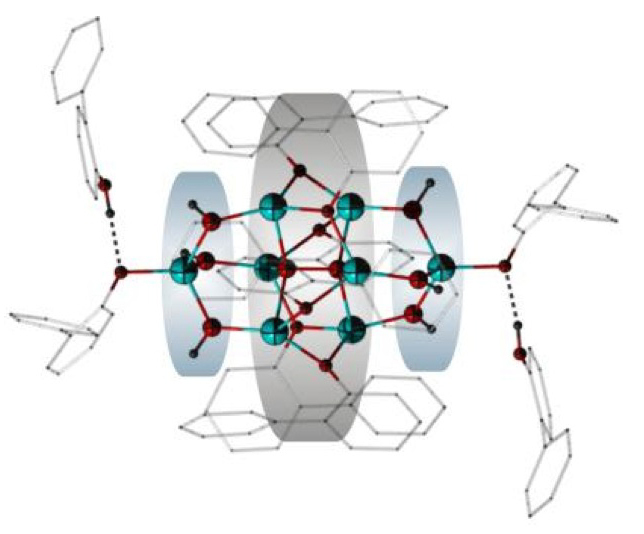 The study revealed an essential role in the oxygenation process of intra-molecular interactions involving aromatic rings and provided a unique aryloxide (hydroxide) Zn8(OAr)8(OH)6(O2) cluster with an encapsulated peroxide species.